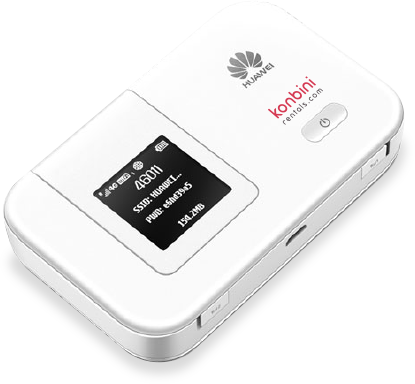 *When service is available, minimum GPRS speed of 12-48kbps at 80% service reliability rate. Rent a Pocket WiFi now and enjoy unlimited, high speed mobile access to the internet. Surf, post photos, or check emails anytime, anywhere. Why choose Konbini Rentals Philippines? Our devices are compact and lightweight. Ready to use, with external dual antenna support and can be used as mobile power source for your other devices so you can enjoy unlimited wireless internet even outdoors. No installation required! Enjoy unlimited internet access with speed of up to 42Mbps*. You can also share your WiFi signal with up to 10 devices/users at once. Just choose where you want the device to be delivered and it will be there a day before you arrive! Returning the device is easy too! A return envelope is included in the package for your convenience. 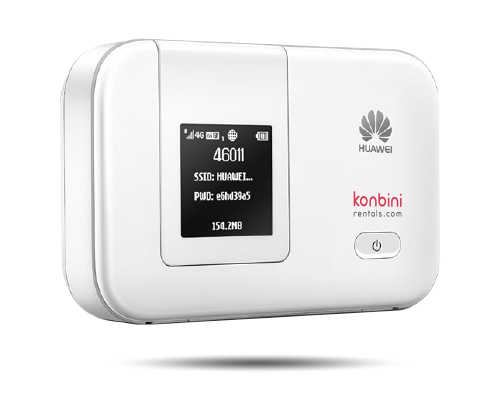 Rent from a minimum of 3 days to a maximum of 25 days for up to 3 Pocket WiFi devices!